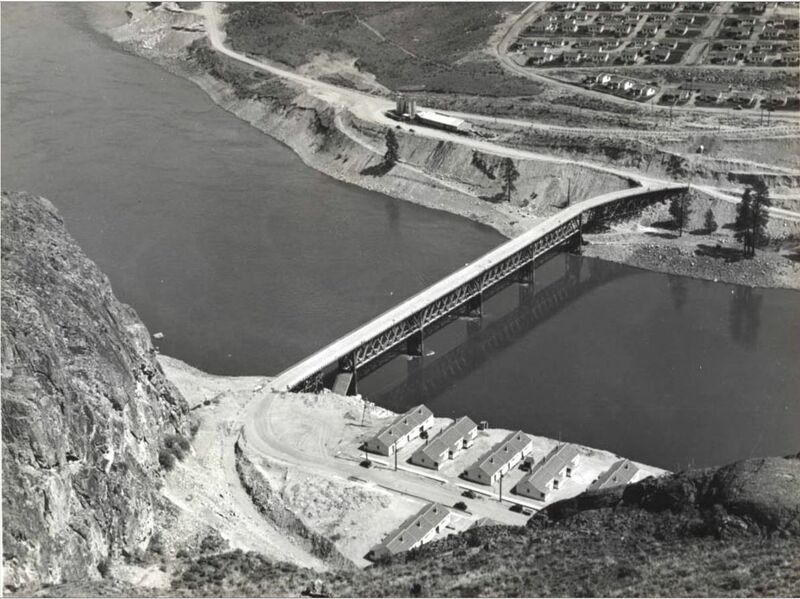 The completed bridge in 1942. The structure now stands completed except for the railroad tracks. 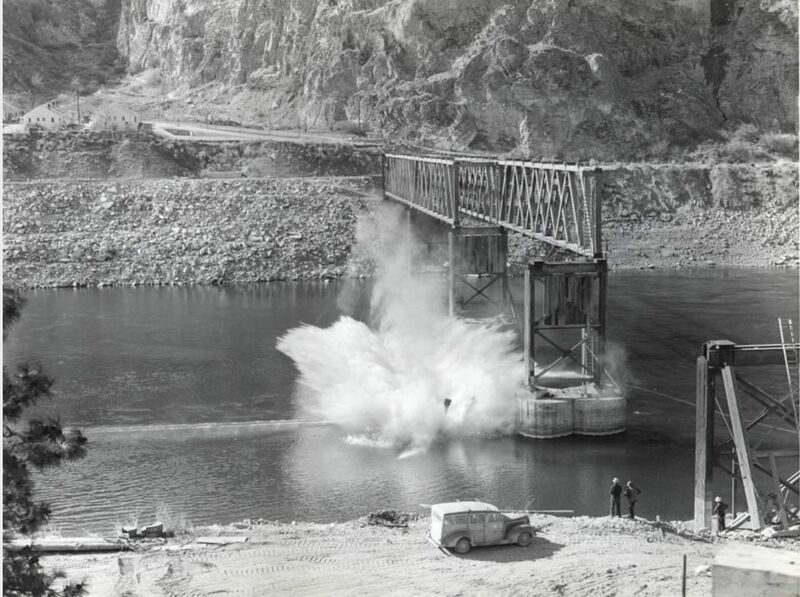 The contractor built this bridge at his own expense intending to bring equipment and material directly to the shop area on the east side, but movement of the far (east) bank rendered the east piers and approach unsafe for railroad loads. 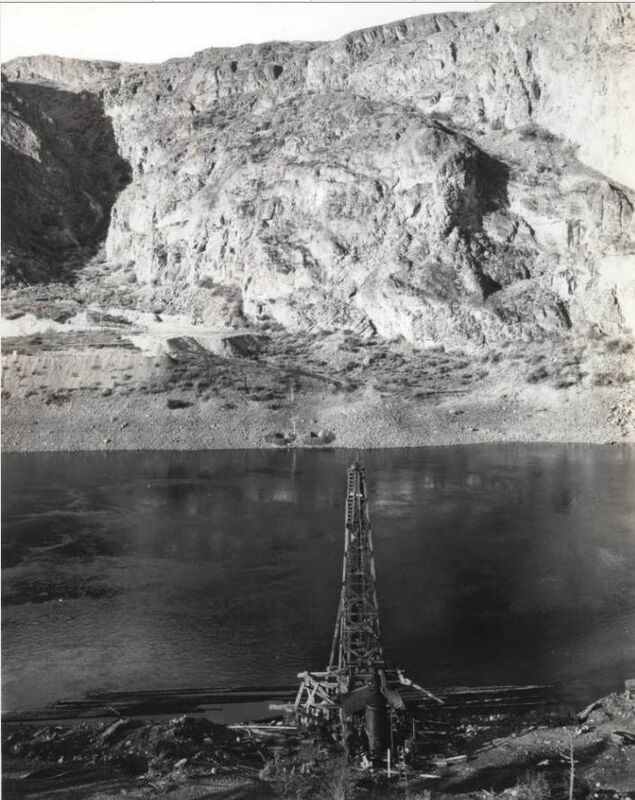 By the spring of 1943 the floor of the structure had become unsafe for further use, and being no longer necessary for trucking operations, the U.S.B.R. began to dismantle it. During the fall of 1946 the U.S.B.R. removed the center pier, leaving the other two for anchors in barge operations.